The best of both worlds. The amazing Crazy Catch Upstart classic with the addition of detachable handles that mean you can use like a larger Freestyle for easier and more mobile training. Double your value for money - It’s the Upstart Classic and the Freestyle all in ONE. The handles simply screw onto the “Sane” side of the Upstart PRO and you can use it as a handheld Crazy Catch ( Note: detach the two sides by simply unclipping the two clips on the top of the Upstart Pro and removing the extension bar before using) or you can use it as a stand alone Crazy Catch by simply reversing the process.. The Ultimate reaction trainer on the market. As used by the Ashes winning England Cricket team, GB Hockey and GB Badminton teams. Now YOU can enjoy the same benefits in your own back garden, down at the club or at the indoor centre. Exactly the same performance as the bigger models. Small size 750mm X 750mm is easy to carry and fits into a car boot. Experience the unexpected! This is a reaction trainer with a difference (Sane and insane sides). The ball returns erratically, testing and improving your reactions and hand-eye co-ordination in a manner similar to slip practice and is ideal to replace the old fashioned slip cradle. Excellent for practicing in groups or on your own. Fun for all sports, schools, clubs and homes. Sane side gives consistent rebound while insane side gives random rebound. 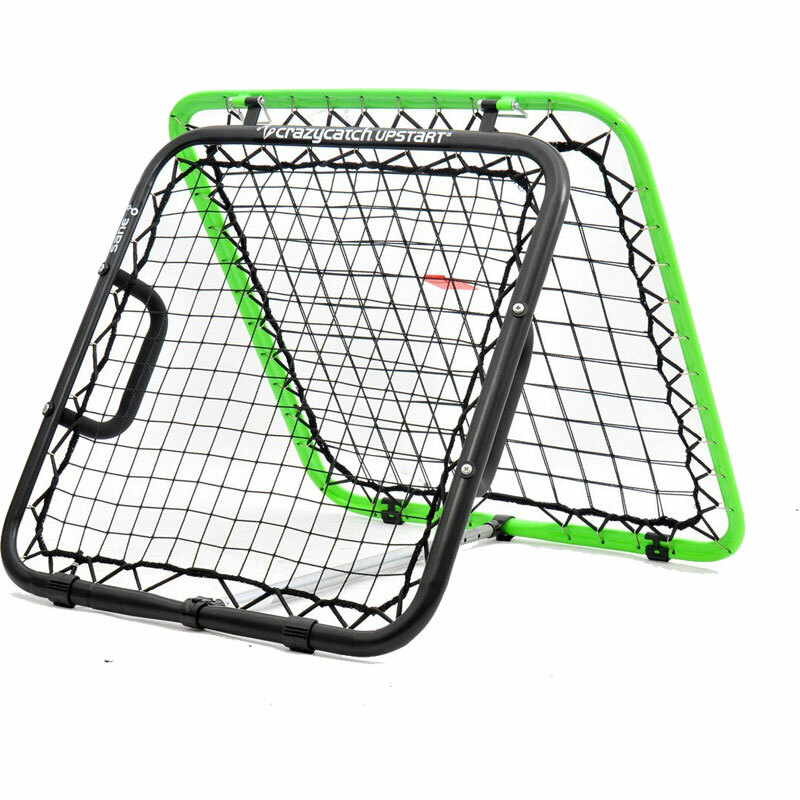 Ideal for developing throwing and catching skills. Can be used across the board by all ages. New and affordable to everyone. Ideal for use with all ball types including, cricket balls, tennis balls, footballs and netballs. Arrived promptly. Easy to set up and use. Good fun. Needs a flat surface and weighing down but would recommend.